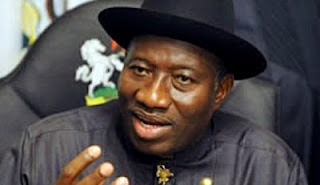 One burning economic issue in the country today is the controversy generated by the implementation of the 2012 budgets. Responding to an enquiry during a summon by the National Assembly a fortnight ago over the speculation that Nigeria was broke, Co-ordinating Minister of the Economy and Minister of Finance, Dr.Ngozi Okonjo-Iweala, insisted Nigeria is not broke. However, with the ominous signals coming from the nation’s export market, analysts said there are fresh challenges that threaten the Nigerian export market and the economy as a whole. Insisting there is cause for alarm over the fresh threats posed by the escalation of the economic misfortune currently plaguing Nigeria’s major trading partners in Europe and America, analysts warned that a further contraction in the US and Euro zone could result in a significant drop in the demand for oil, as those regions together account for 64.43 percent of Nigeria’s total export value. They warned that the overall effect would put a dent on Nigeria’s export receipts and could result in major adjustments to the country’s revenue, expenditure and growth. Nigeria’s major trading partners remain Europe and the US. However, these regions are currently experiencing slow growth and are in an economic recession. The US unemployment rate remained above eight percent in June, recording a slow job growth of 80,000 jobs. 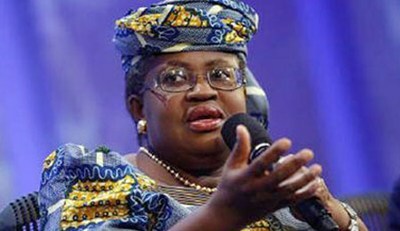 In Q1’12, the US GDP grew by only 1.9 percent, reflecting a weakening demand by Nigeria’s top oil consumer. This scenario, he warned could affect Nigeria’s revenue, which is dominated by oil (which accounts for over 80 percent of total exports). An economic slowdown of any of Nigeria’s trading partners will have serious negative consequences on Nigeria’s terms of trade and economic performance. However, our view is that a modest output expansion in the US in Q3’12 will result in a steady performance in the Nigerian economy. This will guarantee continued growth in government revenue and spending, with positive implications for Nigeria’s trade balance. Similar fears were raised by a Lagos-based financial analyst, Mr. Kingsley Udofia, who said the turmoil in the US and Eurozone could cause upsets in Nigeria’s export proceeds. Recent statistics on Nigeria’s crude oil export to the US are also scary. For instance, Nigeria’s crude export to the US, which was over one million barrels per day (bpd) in December 2009, has declined to 352,000bpd, representing a loss of about 70 per cent of its oil exports to the country. Citing recent data from the United States Energy Department, the Global Water and Energy Strategy Team (GWEST), a Washington-based consulting firm said in its latest report that Nigeria was the third-largest supplier of crude oil to the United States in 2010, with the US accounting for 43 per cent of Nigeria’s exports. 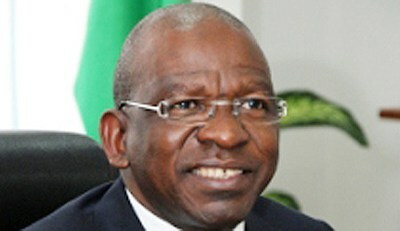 GWEST, which specialises in the geo-politics of strategic resources, noted that Nigeria was closely behind Canada and Mexico in oil export to the United States. The report indicated that in September 2011, Nigeria’s crude exports to the United States dropped to 580,000bpd, with the country assuming the sixth position, after Canada, Saudi Arabia, Mexico, Venezuela and Russia. Nigeria’s crude export to the United States further dwindled to 352,000bpd by February 2012, signaling a decline in trade between the two countries that dates back to 1961, when Texaco Overseas began operations in Nigeria. In order to hedge the country’s economy against the danger signal from its major trading partners, Rewane said Nigeria can enhance its trade ties with emerging economies such as China and India because despite the global economic contraction, these countries continue to show fast and stable growth. China is the world’s second-largest economy growing, at 7.6% (Q2’12) while India, Nigeria’s leading trade partner by country of destination, is growing at 5.3% (Q1’12). According to the FDC boss, fostering trade with African countries is another avenue that needs to be explored to ensure a positive trade balance in Nigeria. “Trading with neighbouring countries will minimise costs and will encourage bilateral agreements. For instance, importing palm oil from the Ivory Coast is both easier and faster than importing from Malaysia and Indonesia. “Finally, encouraging production (for example, through the provision of tax incentives for local manufacturers) and stimulating domestic demand will reduce exposure to external shocks. In China for instance, the government has employed various measures to stimulate domestic demand and balance trade growth. Nigeria can take a cue from this,” he said. 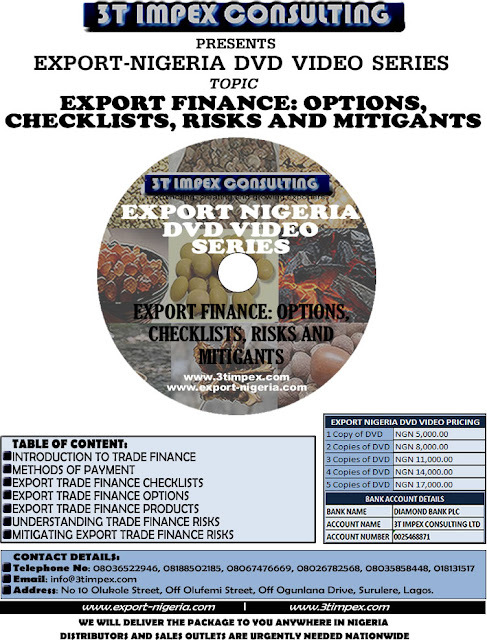 A breakdown of the Nigeria’s balance of trade reveals that Nigeria’s import bill stood at N1.65 trillion in Q1’12, representing a decline of 46.95% from Q1’11. The importation of motor vehicles, aircraft and associated parts contributed the most to total imports, characterising 35 percent of the total import value. Available data also shows that Nigeria’s top five trading partners in Q1’12 were China, US, UK, Brazil and India. By region, Asia ranks first, constituting 37.4 percent of total imports (N617.7bn). Europe and the US constitute 32.5 percent and 23.9 percent respectively of Nigeria’s total imports, while African countries contribute 3.6 percent. Meanwhile, Nigeria’s balance of trade (BoT) increased significantly year-on-year (y-o-y) by almost 3000 percent to N3.32 trillion in Q1’12, as against the Q1’11’s figure of N110.17 billion. 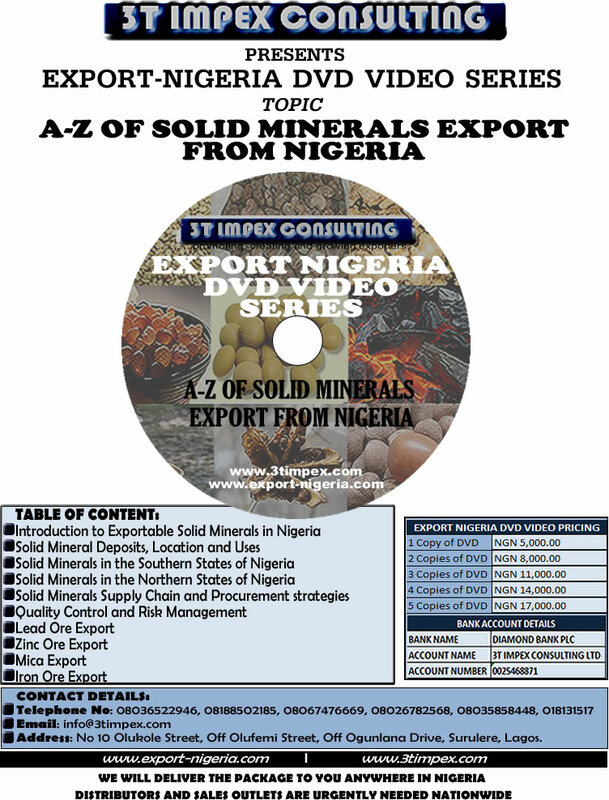 The substantial y-o-y increase, according to the National Bureau of Statistics (NBS), was largely a result of a decline in the importation of mineral products in the first quarter of 2012. However, on a quarterly basis, the BoT declined by 42.16 percent over the Q4’11 figure of N5.74trn, which is attributed to a drop in the exports of non-oil items. With regards to the total merchandise trade (i.e. the sum of exports and imports), Nigeria’s trade value in Q1’12 rose y-o-y by 4.7% to N6.62 trillion, from the N6.32 trillion recorded in Q1’11, and declined by 22.4% in comparison to Q4’11. The lower import bill is largely attributed to the decline in the importation of mineral products especially processed fuels and lubricants. This decline coincides with the probe into fuel subsidy payments, which has exposed the oil and gas sector to a lot of scrutiny. In contrast to imports, Nigeria’s exports rose by 54.4% to N4.97trn y-o-y in Q1â€Ÿ12. This rise was driven by both crude and non-crude oil exports. Europe is currently leading the pack, with respect to Nigeria’s top five destination markets by region in Q1’12, purchasing 36.6% of total exports valued at N1.82 trillion. The US follows with 27.9%, Asia with 22.4% and Africa purchasing 10.8%. Nigeria’s top five leading export trading partners by country are India, the US, the Netherlands, Spain and Brazil. 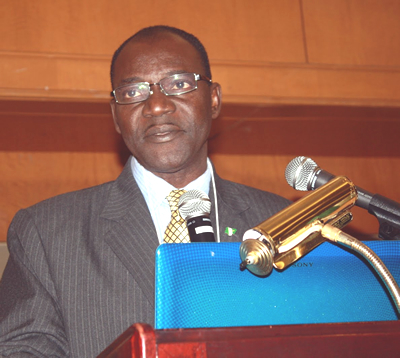 The Nigerian Export and Import Bank (NEXIM) has said it is facilitating the establishment of a regional shipping line that will boost trade within the Economic Community of West African States (ECOWAS) region. Managing Director, NEXIM, Mr. Robert Orya, disclosed this in an interview with newsmen on the sideline of the induction of fellows by the Chartered Institute of Bankers of Nigeria (CIBN). “Our exporters will not be able to enhance the volume of non-oil trade flows. So, what NEXIM has done is to find a way of facilitating the setting up of a regional maritime shipping line to be run by the private sector, because it is the private sector that is actually trading,” Orya stated. According to Orya, NEXIM as an agency has the mandate to enhance non-oil exports for the diversification of the economy, adding that the institution is working on a number of measures to boost non-oil exports. He explained that the regional shipping line would be run by the private sector, adding that the proposed shipping line is expected to assist exporters. Orya added: “The movement of goods from Lagos with truck to Ghana takes only six days but it takes 60 days to move goods from Lagos to Ghana by sea because the ship would first take the goods to Europe and do trans-shipment before getting back to Ghana. Orya also expressed concern that trade in the West African sub-region is not growing. 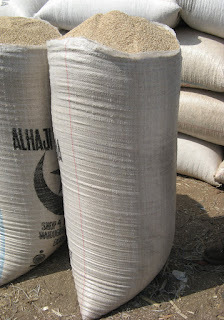 FOR SALE: Sesame Seed Export Contracts. In its bid to address the problem of smuggling as well as enhance the non-oil export growth in the country, the Federal Government has concluded plans to establish international border markets in six locations across the country. 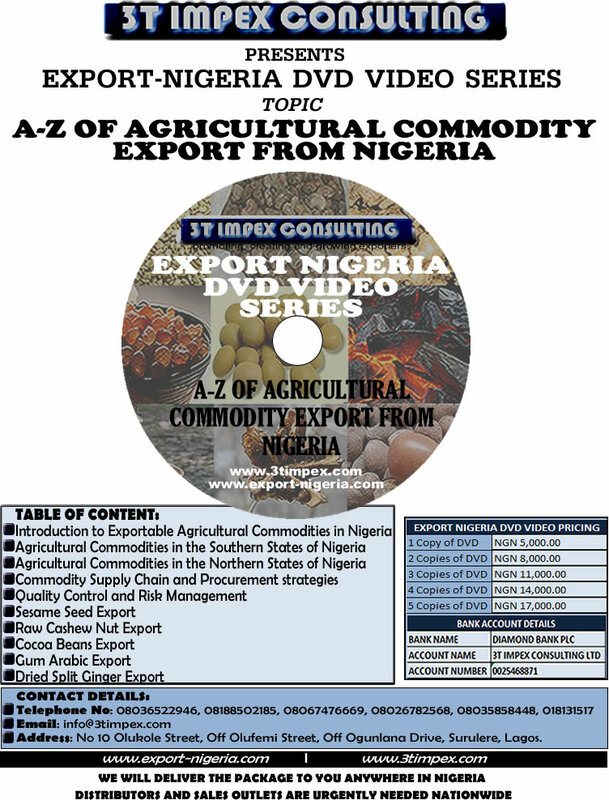 Assistant Director Ministry of State Trade and Investment, Abubakar Aliyu, disclosed this in Abuja, at a press briefing on the third Nigeria Non- Oil Export Conference, Exhibition and Award (NNECEA) 2012. He said: “The ministry has already initiated a project of establishing border markets in six locations to formalise the activities of exporters of non-oil products. Speaking also, the convener and co-chairman of the Joint Planning and Implementation Committee of the conference, Femi Boyode, said there was the need for aggressive development of the non-oil export. He said the there-day conference scheduled to hold between November 4 and 6 was borne out of concern that the nation survival can no longer be guaranteed based on the crude oil export earnings. “Crude oil is a resource to which we have low contribution, we do not have any trend in determining the international price and we are so inadequate to influence the amount of barrel exported. “In fact for some of us the discovering of oil has been a curse than a blessing. I personally believed that 95 per cent of the problems we have in this country can be probably traceable to the discovery of oil,” he said. Boyede stated that the conference was designed to feature flourishing foreign companies across the globe will also help to teach its participants about the products currently being exported and those with high export potential. 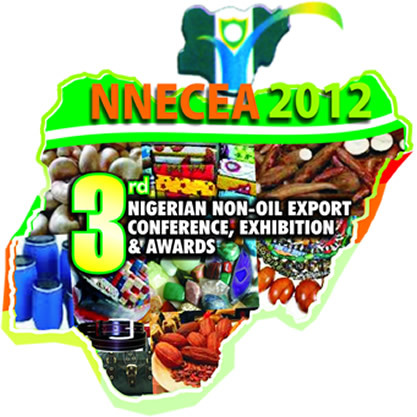 “NNECEA 2012 is not a talk show and that is the reason why the conference is not on the classroom presentation format. The format adopted is actually an interactive forum approach. Director, Special Services NEPC and Chairman of the conference committee, Mr. Olajide Ibrahim, said the conference was organised by the Nigerian Export Promotion Council (NEPC) in collaboration with Koinonia Venture Limited. He noted that the conference was organised with the aim of expanding the country’s revenue base by focusing more on non-oil products, in order to downplay her dependence on crude oil. The director noted that the NEPC-Koinonia collaboration conference was in synergy with all the stakeholders in the sector which included NAFDAC, the Customs Service and other regulatory agencies. Ibrahim also said a major component of the conference was the Presidential Export Awards, which was incorporated to support highly performing companies and encourage upcoming ones to work judiciously in order to boost the economy without having to rely on oil wealth alone. “The award is not a social award; it is performance recognition as a tool that had been used by countries that are at the top 10 of the world’s economy. The company which gets the best exporter award will be a challenge to other companies in the sector. 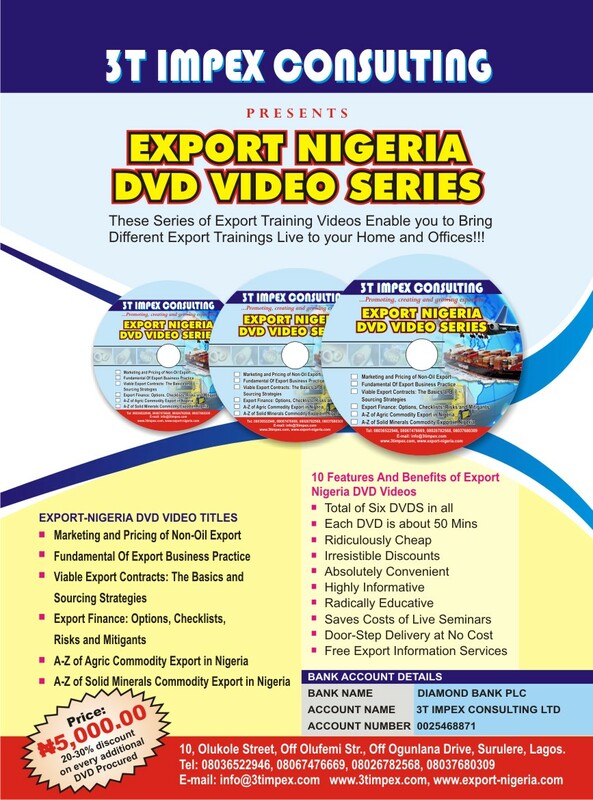 “Every awardee has a citation for performance, value added to product, volume of foreign exchange that has been brought into the economy and contributions of such companies to Nigerian export activities,” he said. One of the major discouragements in the process of EEG claim is the unending delays. These delays are mainly due to a number factors which are caused by the exporters and the government MDAs that are directly involved in the process. Inherent delays in processing of claims to payment stage were a characteristic of the old system. The new EEG scheme (from 2005 to date) has in-built processes that have mitigated delays. Only claims without adequate documentation or not in line with the guidelines get stuck in the processing chain. Exporters who want to flout the guidelines are the most complainants of delays. NXPs that fail any of the 10 rules cannot be processed by the program. Some vital documents to facilitate CBN’s confirmation were trapped in the failed banks sequel to the consolidation exercise. CBN does not confirm proceeds to NEPC unless it receives the Nigeria Customs copy of the NXP involved. 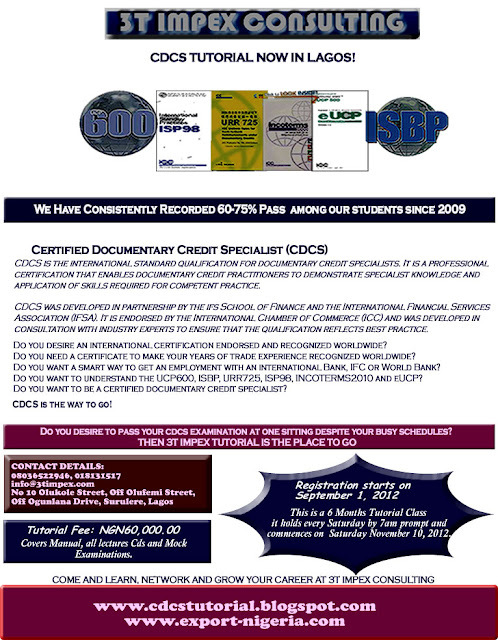 NDCCs are manually written and they come in quadruplicates so it takes some time to write them, especially when the companies are many and the denominations are smaller. Where an exporter is involved in double–dipping, its claims would be withheld until it discharges its bonds and is cleared by the Nigeria Customs Service. Where the inspection report about a company is not favourable, such claims are stepped down until the issues are resolved. In more serious cases where exporters are referred to the Inter-Ministerial Committee, their claims are also withheld, pending the outcome of their cases. 1. The poor state of infrastructure. 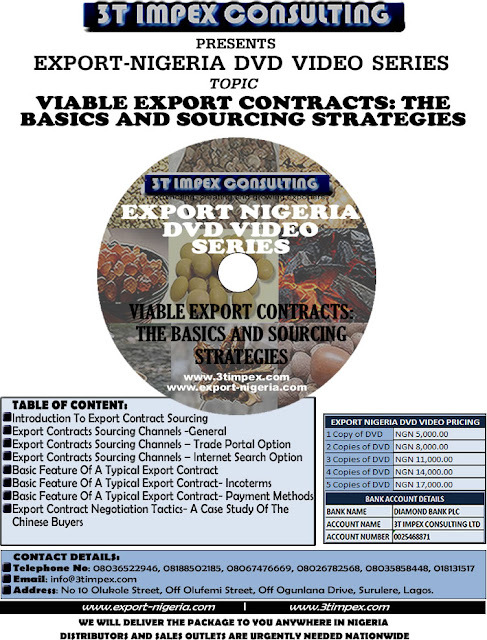 When the idea of NNECEA was conceived in 2009 following the successes recorded with the KVL Export Roundtables, the plan then was to establish an annual forum, where issues relating to Nigeria’s Non-Oil Exports would be identified and discussed with a view to finding acceptable solutions. Thus, the first edition, which took place at the International Conference Centre (ICC), Abuja, on October 25th – 27th, 2010, had as theme “Soaring towards the future: Non-Oil Exports as driver of Nigeria’s Vision 20: 2020”. That Conference took a holistic view of the non-oil sector, revealing the opportunities and challenges, while it also drew a road map for future growth. Participants at NNECEA 2010 also agreed that subsequent editions of NNECEA must address specific issues relating to the sector so as to achieve maximum impact. It was as a result of this, that NNECEA 2011, which was held at the Ladi Kwali Hall of the Abuja Sheraton Hotel & Towers, on November 2nd – 4th, 2011, with the theme “Getting it Right with Non-Oil Exports”, therefore focused on Products, Finance and Marketing. A major outcome of NNECEA 2011 was that it brought to the fore the fact that Nigeria had enough non-oil export products to build a sustainable economy. The Conference also showed that Nigeria had a number of finance windows available for non-oil exporters; and, that the country had enough markets for its non-oil exports within its shores, the West African Sub-Region as well as Europe, America and Asia. But one issue that kept recurring was the poor quality of Nigeria’s non-oil exports, and the inadequacy of Government’s support policies and incentives to drive its growth. Many attributed this to the lack of attention to issues of quality assurance, packaging and branding. Stakeholders also agreed that the current efforts to improve the fortunes of Nigeria’s non-oil exports will come to naught, unless something urgent was done to address this issue. 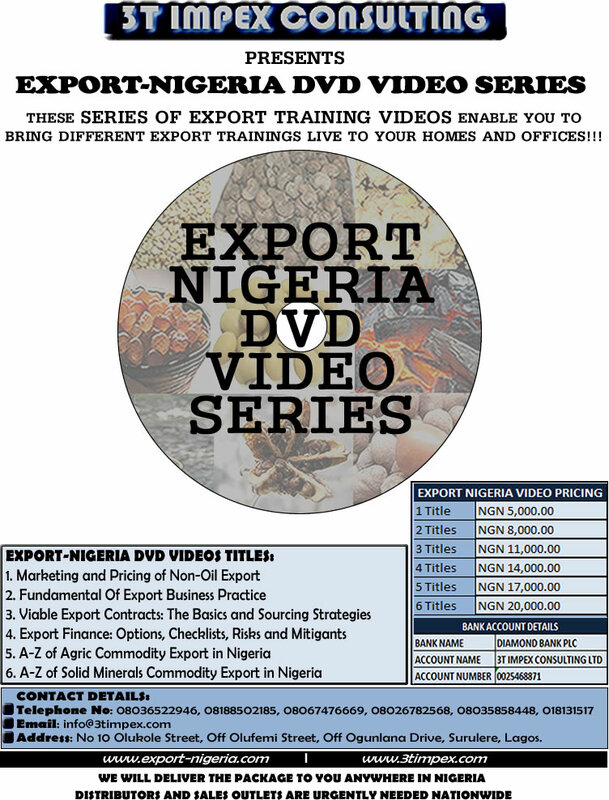 The issue of policy summersaults and hiccups in the administration of the Export Expansion Grant have also truncated the slow but sure growth that Nigeria’s exports has recorded in the past few years. This is given that the 21st century has been characterized by rapid changes and an unprecedented level of competitiveness. Thus, goods and services could now be produced and marketed anywhere in the world, even as advancements in technology have enabled smaller companies to indeed compete effectively with larger businesses. At the same time, customers have become increasingly more cost conscious than ever before. They now look for quality everywhere including: how a product is conceived, developed, marketed, distributed, and in fact, how it is serviced after sale. Countries are also devising more innovative instruments to keep their exporters in the forefront of global trade. This leaves Nigeria with very little options especially in its bid to diversify its revenue base in favour of non-oil exports. In fact, the country must either redefine its non-oil exports with a view to making them marketable in the ever challenging global competition or maintain the status quo, which means retaining oil as the primary export commodity. In any case, to reverse the trend will equally require a complete change of mindset and indeed a definitive strategy. 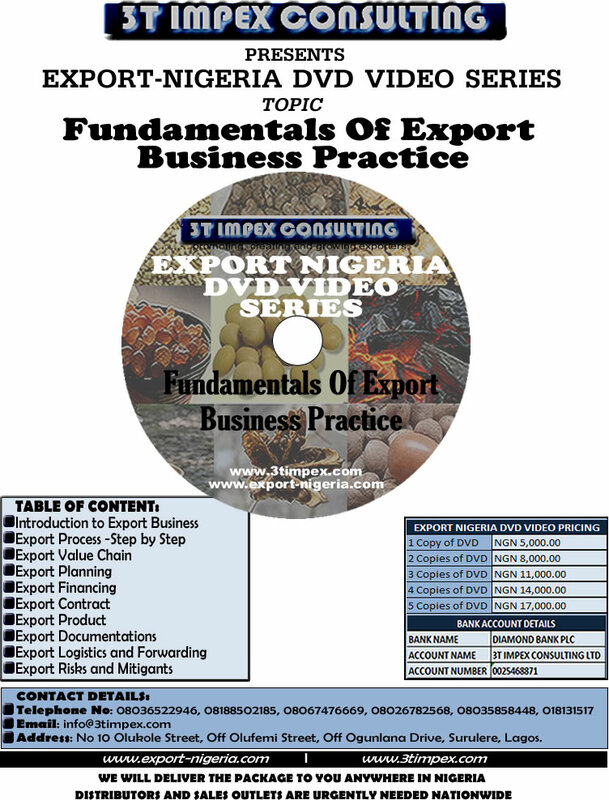 It is against this background that “Enhancing Nigeria’s non-oil export opportunities: Strategic imperatives” has been adopted as the theme of NNECEA 2012, which will hold at the Shehu Musa Yar’Adua Centre, Abuja, on November 4th to 6th, 2012. Unlike previous editions, NNECEA 2012 will adopt an interactive workshop format focusing essentially on four key issues: Quality, Packaging, Branding and Incentives.. The Conference will review current trends in quality management especially of made-in-Nigeria non-oil exports to determine whether they fulfil the needs and expectations of customers in a globally competitive market. 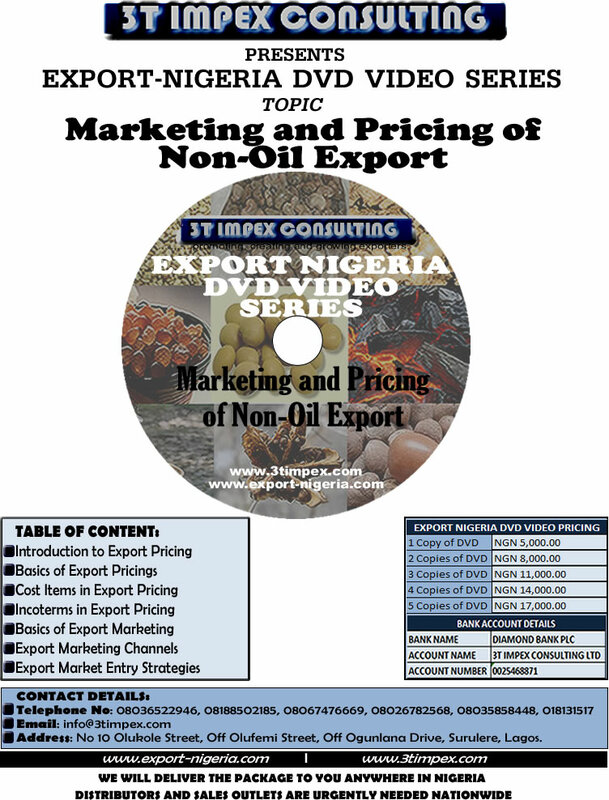 More so, given that over 50% of purchase decisions are made at the shelf and that the packaging of a product is the first thing that the consumer usually sees, it will be necessary to re-examine how made-in-Nigeria non-oil exports are presently packaged. Are they packaged to develop on-shelf appeal, provide product information, protect the product, provide reusable value to the user, and, establish brand image and awareness? Do they promote both practical information and emotional appeal? Above all, considering that advances in manufacturing, distribution and communication have resulted in an ever-growing sea of choices, have we been able to build powerful brands that can stand global competition? Do we have brands that deliver the message clearly, confirm our credibility, connect our target prospects emotionally, motivate the buyer, and guarantees user loyalty? 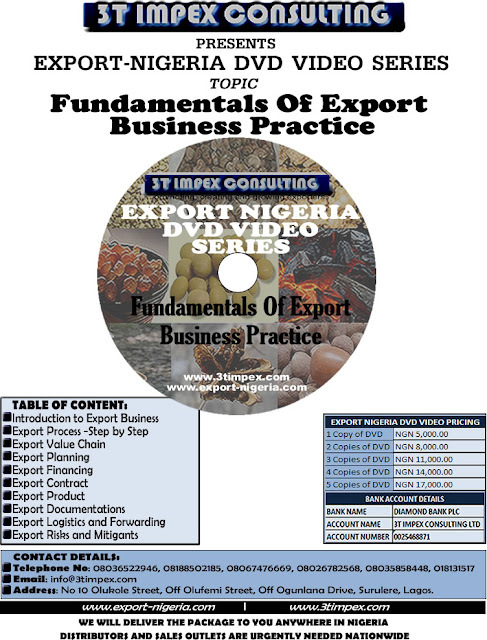 One factor that has remained most critical in the ability of Nigerian exporters to sell profitably in the global market is the Export Expansion Grant. 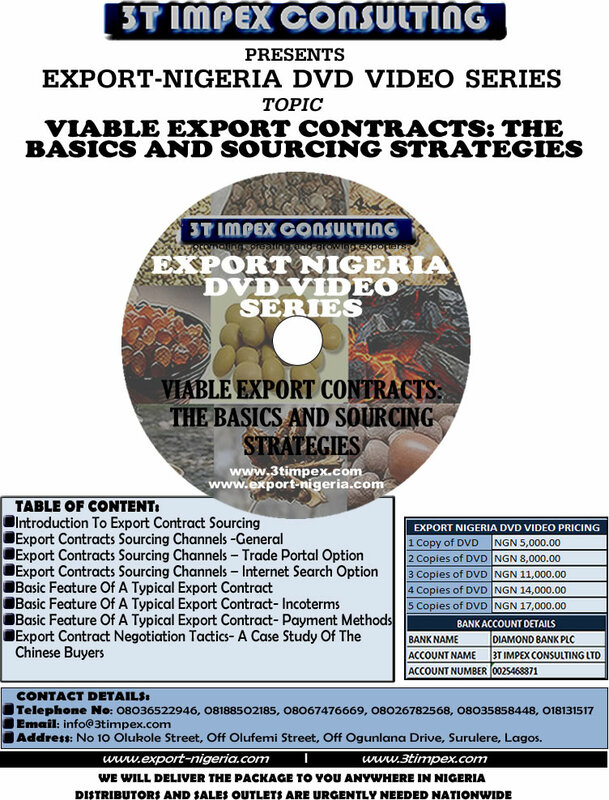 Government, at the very highest levels, has kept on assuring Nigerian exporters of the continuity of the policy. Yet, the implementation has repeatedly encountered hiccups and roadblocks, casting cogent doubts in the minds of the exporters and their overseas clients. On the other hand, other countries are evolving even more incentives to ensure the continued competitiveness of their exports/exporters. These are the issues that would be addressed at NNECEA 2012. The Conference will redefine Nigeria’s non-oil exports especially to ensure that issues of incentives, quality, packaging and branding are no longer taken for granted. The two-day event will comprise very inciting lead presentations followed by panel discussions aimed at eliciting contributions and recommendations from key players and solution providers, which will thereafter serve as input into new strategies to enhance Nigeria’s export performance.It will also provide networking and business opportunities at the highest levels. We have invited representatives of the diplomatic community including the EU, US Trade Department, JETRO, ECOWAS Trade Department, China and the World Bank to provide insights into the global export market. Ministers and heads of Federal Government institutions meant to be able to provide solutions to the issues in focus will also be on hand. There will also be opportunity for product exhibitions. And as is the practice, the highlight of the two-day event will be the Presidential Export Award, where excellence and hard work will be rewarded. Our target this year is to secure the presence of Mr. President to personally present the Presidential Export Award, which is, in its own way, another incentive to greater export performance. Any NXP confirmed by CBN to NEPC must pass the 10 rules as laid down by the consultants (PwC). 2. 300 Day Rule: EEG Claim must be received within 300days after shipment date. • Companies can even compute their EEG rates from their baseline data.